The Nomess toiletry bags are made of water repellent tissue, ideally suitable to be used in the bathroom. The mesh textile adds a special elegant appearance to the bag. The toiletry bags for men and women. The zip closure enables to open the bag with two compartments by Nomess easily. Toothbrush, perfume and cream can be installed in an upright position in the bag - no annoying searching, since everything will be visible and organized. The bag is easily closed as well with the sip closure, becoming water repellent from all sides again. Ideally suitable for creams and liquids in the suitcase while travelling. Travelling with style is what the Travel Collection by Nomess encourages. Stylish and very useful travelling accessories for the hand luggage or the suitcase are part of it. 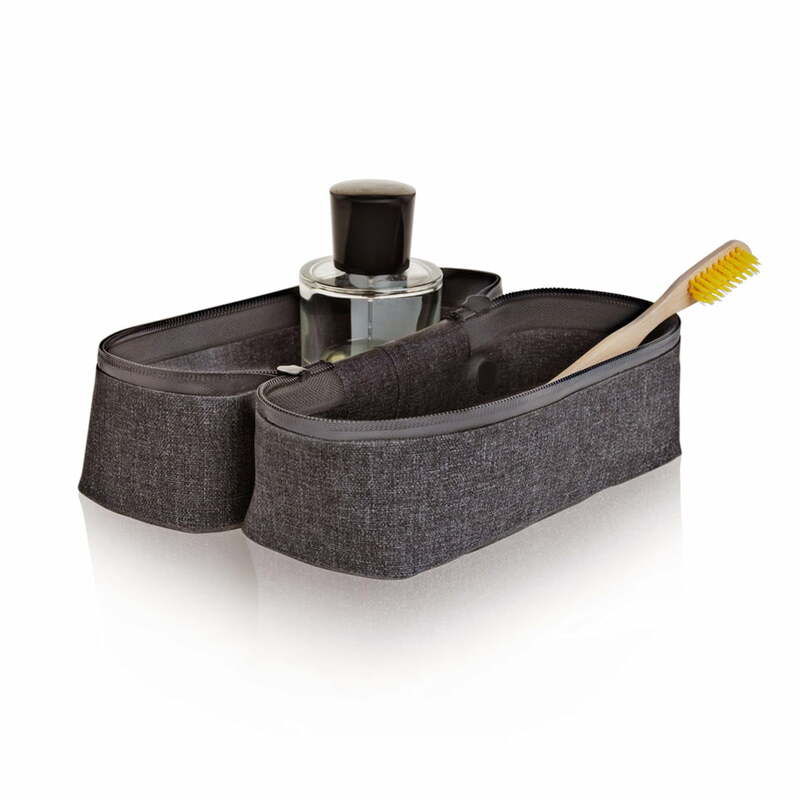 Single image of the water repellent toiletry bag by Nomess in grey. 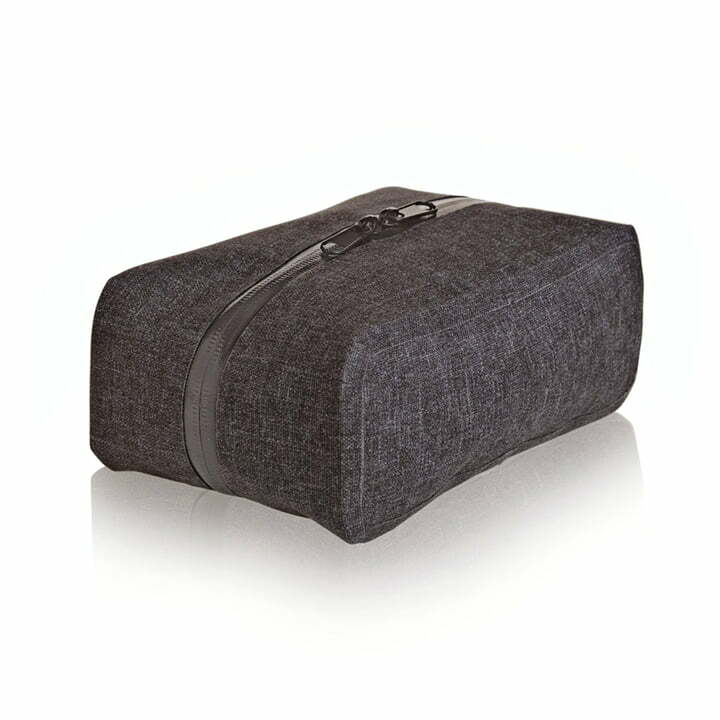 The small toilet bag is made of nylon, it is closed with a zip closure and it is wonderfully suitable to be used as makeup bag.